Charlotte, NC — The Printing Industry of the Carolinas (PICA) has announced that Morgan Printers Inc. of Greenville is an award winner in the 2012 PICA Awards Competition. 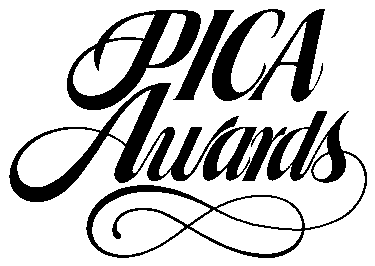 The announcement was made April 27 during the 2012 PICA Awards Banquet in Concord, North Carolina, with more than 300 industry professionals in attendance. The PICA Awards competition is one of the largest printing contests in the nation. This year, the PICA Awards attracted more than 643 entries from 58 printing companies, along with more than 300 entries from 17 graphic arts high schools and six college graphic arts programs from across the Carolinas. Morgan Printers Inc. won 1 Best of Category Award. Only one Best of Category may be given in each category. One or more Special Judges Award or Awards of Excellence may be given in each category, limited to no more than one third of total entries per category. For more information, call Lydia Morgan of Morgan Printers Inc. at (252) 355-5588. PICA is a trade association representing the graphic communications industry in North and South Carolina. North Carolina ranks as the 18th largest state print market in the United States with $3.7 billion in sales, 1,410 total printing establishments and 22,111 employees. South Carolina ranks 29th in the nation, with $1.4 billion in sales, 553 establishments, and 8,522 employees. PICA is headquartered in Charlotte, NC. For more information, visit www.picanet.org.